Nestled in secluded Simmons Canyon in Calistoga, this small-production winery is a site to behold. The rustic Provencal-inspired tasting room with its reclaimed wood-beamed ceilings is stunning, but it is the purity and elegance of their wines that inspires awe. The first vintage (2002) was released in the spring of 2005 and in June of 2010 Kelly Fleming Wines celebrated the opening of an estate winery facility on Pickett Road, adjacent to the 12 acre vineyard. Kelly's exquisite taste and eye for detail can be seen in every aspect of the company she has built from the ground up, personally overseeing everything from site selection and facility design, to label development, farming decisions, and use permits. 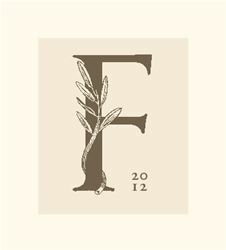 We are delighted to offer tours and tastings of Kelly Fleming wines by appointment at our estate vineyard in Calistoga. The tasting room is housed in our Tuscan-style stone winery, an intimate and rustic space leading into our hillside caves. We invite guests to join us for an in-depth tour, before sitting down to enjoy a tasting our current release Sauvignon Blanc and estate-grown Cabernet Sauvignon. Kelly Fleming Wines is certified under the Napa Green Winery Program by the Napa County Department of Environmental Management (DEM) and the Association of Bay Area Government’s (ABAG) Green Business Program and completed all the regulatory components needed for environmental sustainability. These components included developing water and energy conservation methods, preventing pollution, and reducing solid waste. In addition to developing sustainable winery practices, this program is set to become the standard for the state of California. Kelly Fleming Wines is certified under the Napa Green Certified Land Program. Kelly Fleming Wines has created and implemented a customized farm plan with measured results that addressed all aspects of its property, vineyard land as well as non-farmed land, including practicing soil conservation, water conservation, stable drainage, riparian corridor enhancement, fisheries and wildlife habitat enhancement and long-term improvement and sustainability.